Welcome to the iAnalyse 5 Public Beta Test! iAnalyse 5 beta is available for everyone. 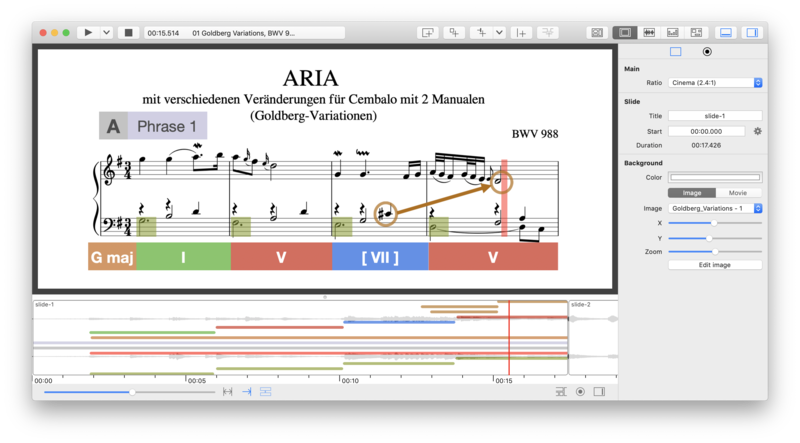 The iAnalyse 5 beta program gives you early access to new versions of iAnalyse. 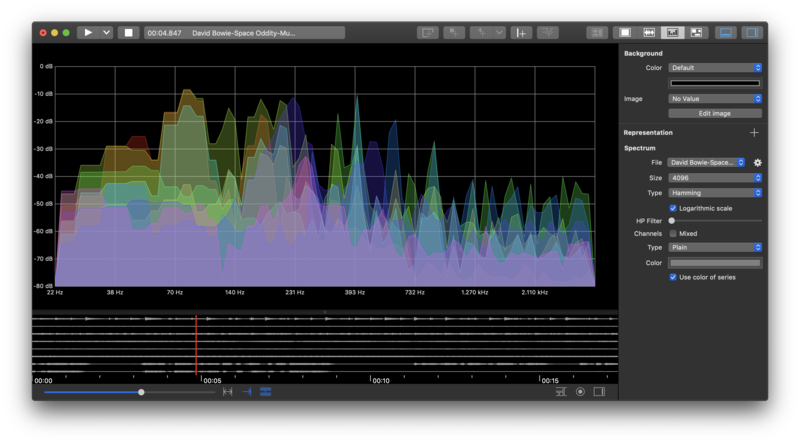 It is important to keep in mind that beta versions of iAnalyse may be less stable than the release version. This means the app may crash or that some features might not work properly. Never use Beta versions of iAnalyse 5 for time critical tasks or professional projects on which your income relies. 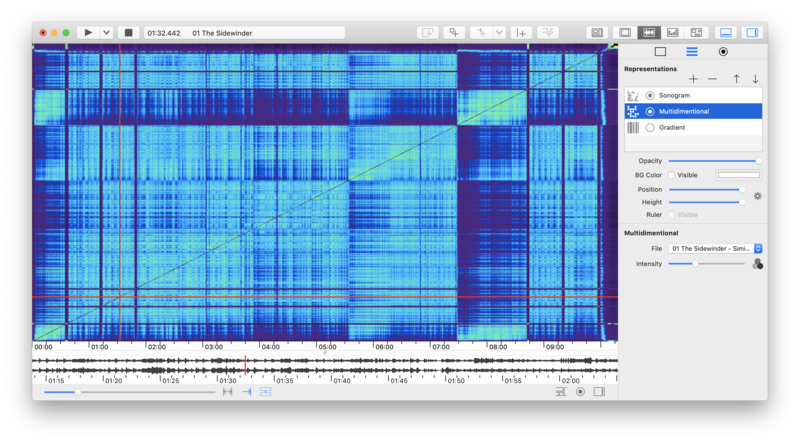 I can not guarantee fail safe functionality of iAnalyse 5 Beta versions – there will be bugs, this is why I do the Beta test. Do frequent back-ups of projects when testing. By using the beta version, you accept that iAnalyse 5 automatically sends crash reports. No personal information is transmitted. Each version of iAnalyse 5 is valid for 14 days. At the time of expiration, all you need to do is download and install a new updated iAnalyse 5 beta from the website. It is there to avoid that people testing the beta would stay working with older versions, and report already solved bugs over and over again. The most up to date beta version can always be found on the website. The iAnalyse 5 Beta will expire the day I release iAnalyse 5 officially. Create blank project or use templates. Use four editing interfaces: Slideshow, temporal representation, dynamic representations, map. 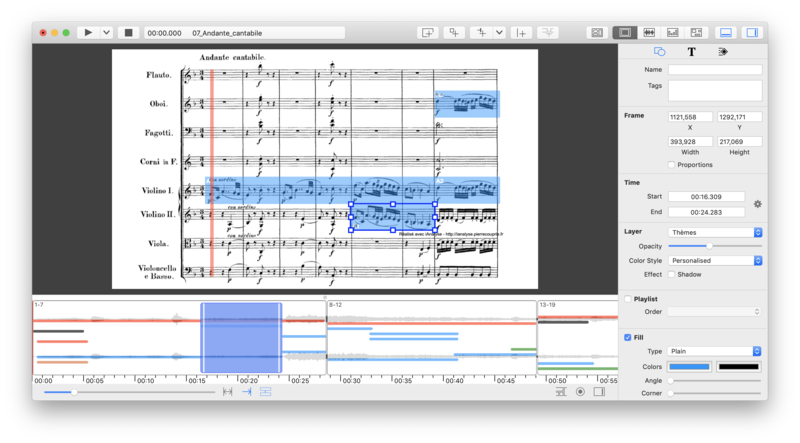 Add annotation from library to slideshow, temporal representations, and Map. 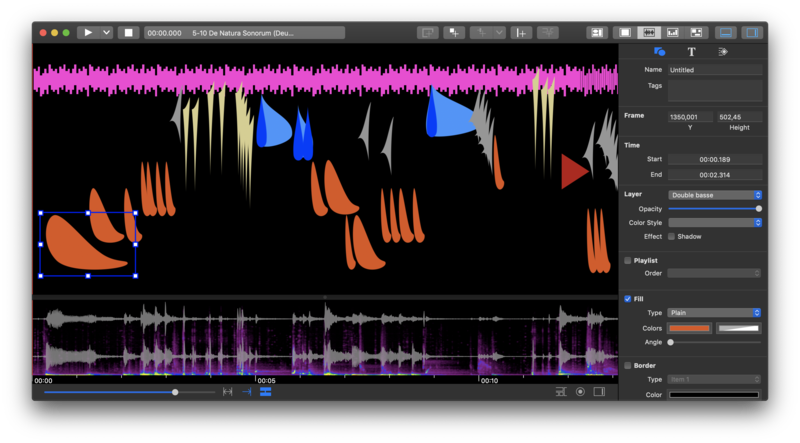 Edit musical structures or any types of segmentation. Support dark mode in MacOS 10.14 Mojave. Import different formats of media: Image, PDF, sound, movie, MIDI. 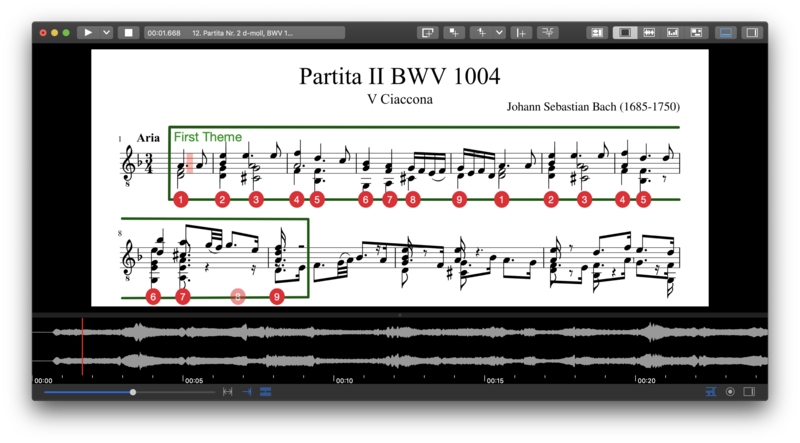 Work with multitrack audio files (PCM format). 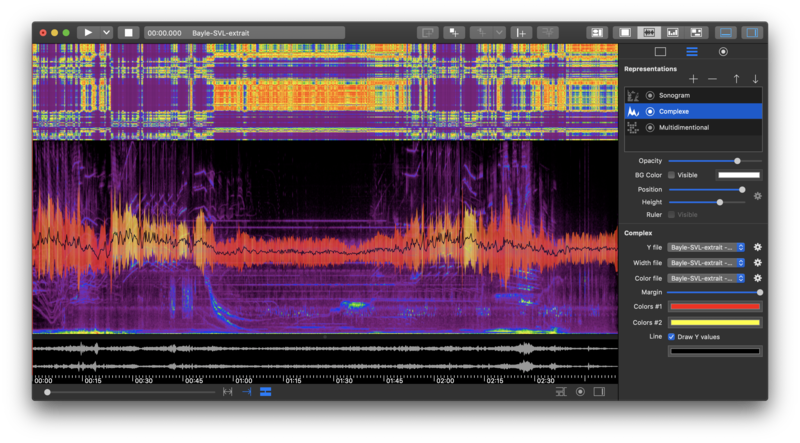 Change rate and transposition of audio files during playback. 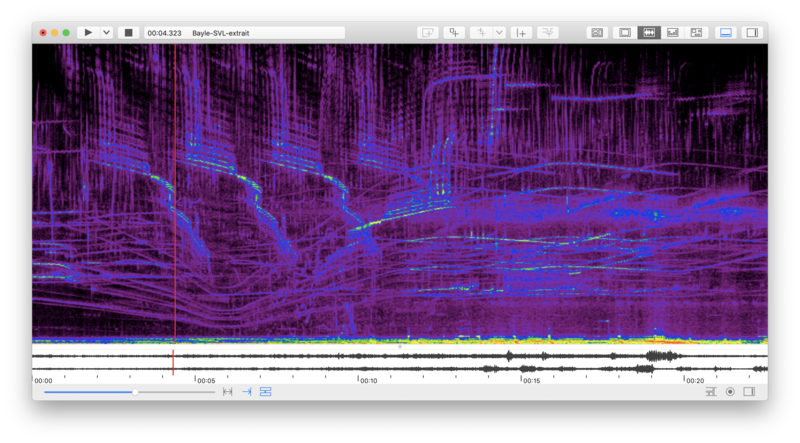 Extract about ten audio descriptors like spectral centroid, amplitude RMS, zero crossing rate, etc. 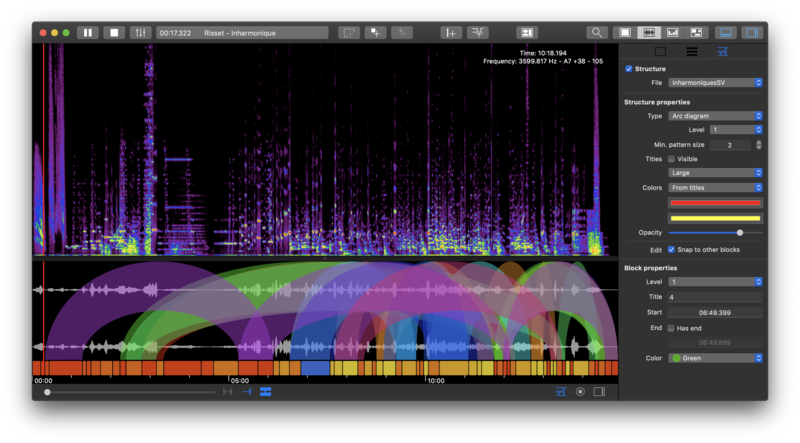 Create beautiful representations from signal, FFT, audio descriptors or any imported data. 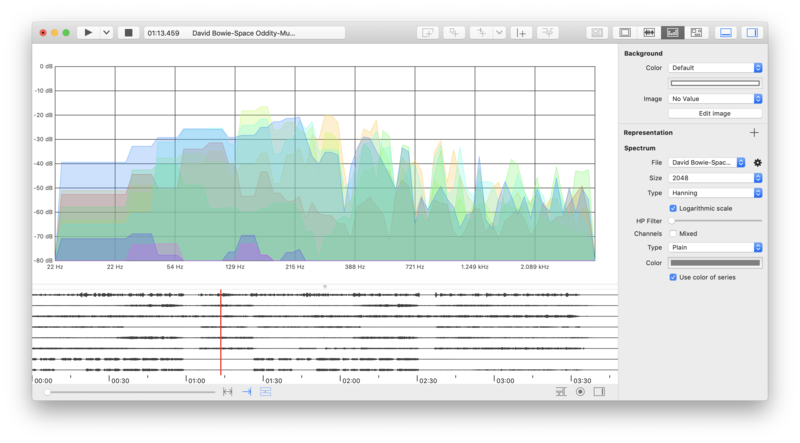 Import data from CVS files, Pro Tools information sessions, Reaper EDL. Export your analyses and representations to images and movies. On previous systems, use iAnalyse 3 or 4 and EAnalysis. iAnalyse 5 is only available on MacOS and do not support Windows.